Heart disease (including heart attack and stroke) is New Zealand’s biggest killer, causing 6,000 deaths each year. That’s one New Zealander death every 90 minutes. However, more research is showing that a daily handful of nuts can keep your heart happy and ticking for longer. In fact, a recent review showed that if you eat ¼ cup (about 30 g) of unsalted nuts each day, you can reduce your risk of heart disease by up to 27%! Or by 31% if peanuts are consumed. Another reputable study showed that it’s possible to reduce your risk of death from chronic diseases like heart disease by up to 20% if nuts are eaten 7 or more times each week. When it comes to your waistline, studies show that a regular intake of nuts does not change your weight. In fact, those who consume nuts daily have a slimmer waistline, experience less weight gain, and have a lower risk of being overweight or obese. Unfortunately, New Zealanders aren’t eating enough nuts. Nut consumption predicted from the latest New Zealand Adult Nutrition Survey shows that New Zealanders consume just 5.2g of nuts per day! This is far short of the 30g recommended serve in the New Zealand Eating and Activity Guidelines. Why are nuts so good? Nuts are good at protecting you and your heart because they contain good sources of fibre, polyunsaturated fats, magnesium, vitamin E and antioxidants. 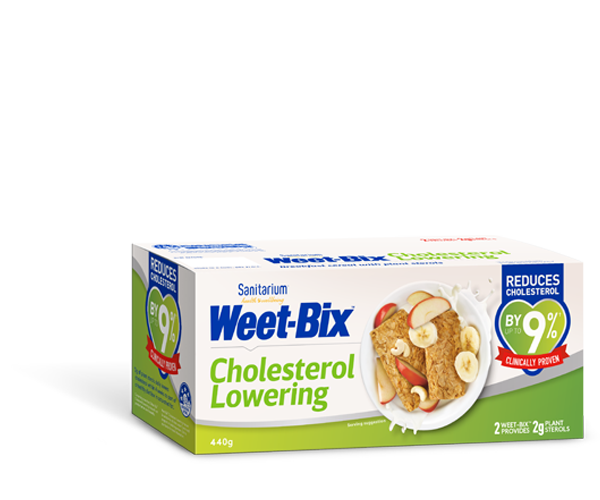 Fibre: can reduce your blood cholesterol levels by catching cholesterol in your gut and stopping it from being absorbed into your blood stream. Polyunsaturated fats: help keep your LDL (bad) cholesterol low. Magnesium: helps keep your heart muscle healthy, improves stress control, and can reduce sudden cardiac death. Vitamin E: is a powerful antioxidant that can help capture lone molecules or ‘free radicals’ that can cause damage and inflammation in your heart and blood vessels. When choosing nuts, make sure they’re fresh and unsalted. Also aim for a variety, including almonds, walnuts, brazil nuts, hazelnuts, cashews, pistachios, pecans and macadamias. And don’t forget to eat some peanuts too (sometimes classified as a nut but they're actually a legume). And try these ideas in our Nuts and nutrition article for easy ways to include more nuts into your diet. If you include a variety of wholegrains, vegetables, legumes, and fruits in your diet too, your risk of heart disease can be reduced even further. Adding regular exercise and movement to your day will also keep your heart strong, and support good blood flow. Heart disease is a serious health concern and can kill without notice. So watch your heart by getting regular weight, blood pressure, and cholesterol checks with your doctor. If you’ve got high cholesterol, high blood pressure, if you’re overweight or obese, a smoker, or have an inactive lifestyle, then it’s likely that your heart may be in need of some urgent care. There's more info on heart health, in our Heart healthy living article. Aune D, Keum N, Giovannucci E, Fadnes LT, Boffetta P, et al. Nut consumption and risk of cardiovascular disease, total cancer, all-cause and cause-specific mortality: a systematic review and dose-response meta-analysis of prospective studies. BMC Medicine 2016;14(1):207-220. Bao Y, Han J, Hu FB, Giovannucci EL, et al. Association of nut consumption with total and cause-specific mortality. New Eng J Med 2013;369:2001-2011. Flores-Mateo G, Rojas-Rueda D, Basora J, et al. Nut intake and adiposity: meta-analysis of clinical trials. Am J Clin Nutr 2013;97(6):1346-1355. Brown RC, Tey S, Gray A, Chisholm A, Smith C, Fleming E, et al. Patterns and predictors of nut consumption: Results from the 2008/09 New Zealand Adult Nutrition Survey. Brit J Nutr, 2014;112(12), 2028-2040. doi:10.1017/S0007114514003158. Peacock JM, Ohira T, Post W, Sotoodehnia N, et al. Serum magnesium and risk of sudden cardiac death in the Atherosclerosis Risk in Communities (ARIC) Study. Am Heart J 2010;160:464-470.